Every once in a while after servicing countless events, one will come along that you will remember forever. This happened to us in the winter of 2015. We were asked to provide a photo booth rental for a winter formal dance in the city of Orange. 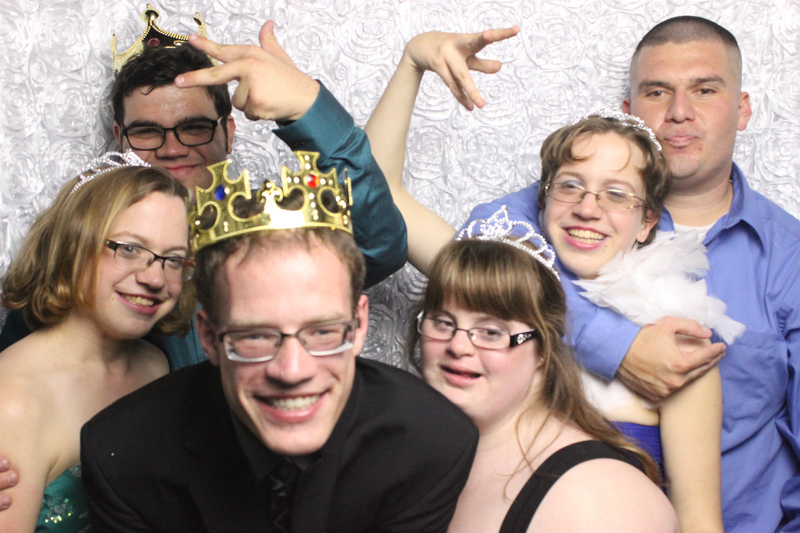 Being homecoming season, we figured this would be our typical dance all night, fun photos and laughter from guests. When we arrived, we realized the attendants to the dance were mentally and physically challenged. The outright joy and laughter these attendees had with our photo booth made our day. They loved the idea of dressing up and taking fun pictures. Of course our booths are wheel chair accessible so our attendant made sure that everyone could enjoy the booth. Our attendant informed us how thoughtful, gracious and polite everyone was during their rental. We were epecially impressed by the kindness of the facilitators of the dance, Liz and Andrew. It was a pleasure working with them and loved the fact that this organization was not a school but an adult day care and that activities were planned for the patrons. We received a lovely card in the mail that was signed by all the guests thanking our attendant, Marcus for making their dance such a hit. 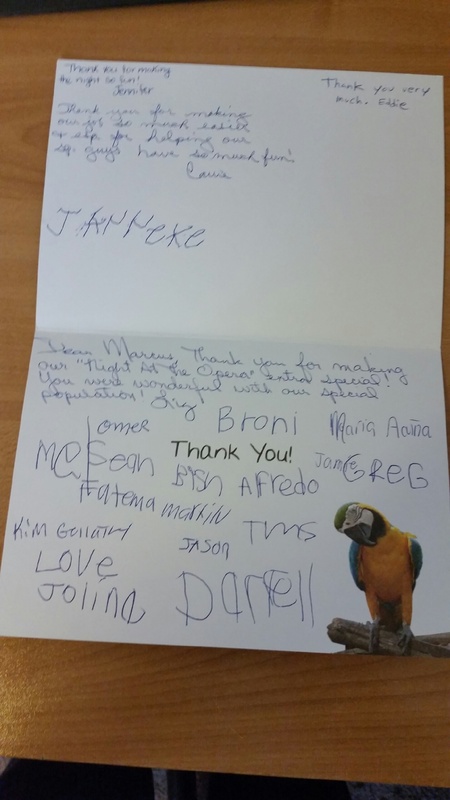 We have never had a client go above and beyond to make sure every attendant signed the card. It's people like Liz, Andrew and their guests that make running a photo booth rental business such a great experience. I just want to say thank you and let you know what a pleasure it was having you take our pictures at our dance. Marcus was great with our guys and was very accommodating. We will definitely use you in the future. If you could do is a favor and send us an address for Marcus, we forgot to give him a tip for all of his hard work. Thanks again for making our event great.